Mega Evolution rule : You win when you kill 2 Pokemon with this Pokemon. 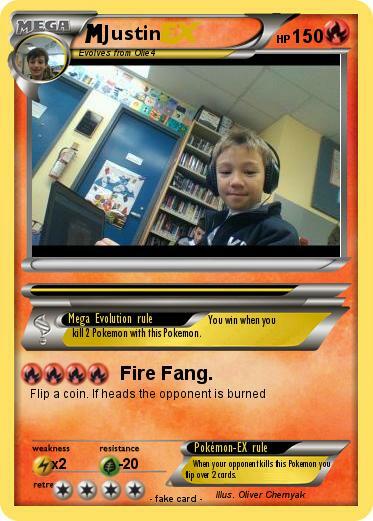 Attack 1 : Fire Fang. Pokémon-EX rule : When your opponent kills this Pokemon you flip over 2 cards.